Formerly known as the Bella Vista Lodge, this was one of the first Bed & Breakfasts in the Dominical area. Appropriately named "Beautiful View", this iconic property is located on a ridgeline directly overlooking Dominicalito Bay with stunning whitewater ocean views that stretch all the way up the coast towards Manuel Antonio National Park. Location! Location! Location! Situated right in the heart of the high-demand Escaleras area of Dominical, the property is adjacent to many luxury homes, including a rainforest estate listed at $4 million dollars. Before demand grew in the area, the original owner of the lodge was able to cherry pick his location and we believe that this specific property has arguably the best views on the ridge - it could not be situated in a more desirable place. The grounds have been kept clear and have been landscaped with native tropical plants and fruit trees. The gently sloping terrain provides plenty of options that can support a large hotel, an estate sized home, multiple homes, or a compound of rental cabinas. Whatever is constructed here will enjoy jaw-dropping ocean views, unobstructed year-round sunsets, and a beautiful Costa Rican ambiance. Directly below the property is a lush rainforest area that serves as a natural wildlife corridor frequented by Howler Monkeys, Toucans, and Scarlet Macaws. These green zones cannot be developed, thereby ensuring that the property's magical charm will remain intact for the foreseeable future. The property includes the original main lodge, a smaller cabina, and a caretaker's home with public road frontage. For a buyer looking to build a luxury project, we envision that the original lodge and the cabina will be demolished with newer construction built in their footprint. For a buyer who would like to build incrementally with a smaller budget, the lodge can be restored and put right back in operation as a hospitality business. We firmly believe that any type of rental business here will perform quite well due to its prime location and rich history in Dominical. 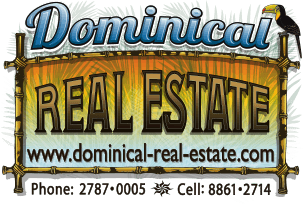 Within a short, 20 minute radius from the property are popular attractions in the towns of Dominical and Uvita. Enjoy craft brews at the Fuego Brewery, surf at a wide variety of surf spots, dive into waterfall-fed pools, purchase organic fruits and vegetables at multiple Farmer's Markets, and visit the Marino Ballena National Park known for its large protected marine zone and whale tale. There is so much to do in the area, that it is easy to see why this region of Costa Rica is rapidly growing as a global tourist destination. Simply put, if you are looking for a premier land parcel to build a luxury estate or a boutique hospitality business, this property's location will deliver everything you are looking for.